Real Auto Tips. 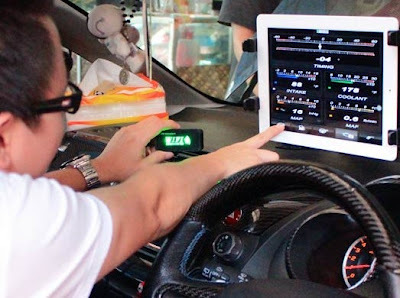 - After at the year 2000, all of the car machines have been adopting On Board Diagnostic 2 or OBD 2 that make easy for all car user to diagnose the car engine. It is very different before at the year 2000 that many car still using On Board Diagnostic 0 and On Board Diagnostic 1 or OBD 0 and OBD 1, where every brand of vehicle using a scan tool each manufacturer. With OBD 2 all the car user can helped to monitor damage, or just reset the check engine, although it could be as a data logger. 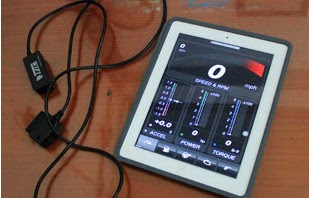 Usually OBD 2 are connected to the laptop as a monitor, there is also a terkoneksikan to tablet or iPhone and this tool very economic to buy. One model of OBD 2 is OBD 2 model ELM 327. When we want to use Data Logger ELM 327, beside the hardware of OBD 2 model OBD 2 also required special application on a laptop or other gadgets that will be used. Live search and download. Most of the complete application must pay. If the downloaded version free, normally only for the check engine code reader, but there are also granted 1 327 ELM package when purchasing a software CD. First make sure the ignition is ON or engine running, then just search it on the vehicle OBD 2 sockets each, then plug in ELM 327. Placement is usually under the steering wheel, but some are in other parts. 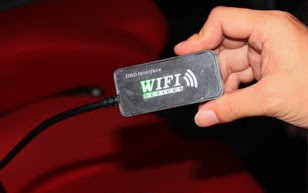 After connecting to the OBD 2 16 pin socket, immediately activate wifi, Bluetooth or if you still use a USB data cable, immediately connect to your laptop or iPad. If it connects completely, just play menu available. For example, you want to see the entire data logging as fuel trim, air flow meter, engine coolant temperature, air intake temperature, etc. are all available and very accurate because connected with ECU. to read the malfunction code (check engine) is also easy, just move to the menu code reader, then the broken sensor will be read. To measure power and torque was also able, but will not be as accurate as measured on the dynamo-meter. Problem display, if you want a gauge models have 2 analog or digital option.